Nico PfitZENmaier is an elite mountain biker and a truly passionate athlete. He gives a whole lot of credit to yoga, we met up with him and here is what he had to say. NP: I have been practicing yoga for 6 years. It is unbelievable the difference it has made to me as a rider. It has given me strength, balance and helped immensely with body alignment. It teaches you co-ordination by using both sides of your brain leaving me injury free and it has certainly helped with lengthening of the hamstrings – every riders weakness. YFS: What style of yoga do you practice? NP: Mainly heated Vinyasa, I like the flow element. Its good for detoxifying and gives great results in the flexibility department. YFS: How do you prepare mentally for a race? NP: I make sure I don’t worry about the competitors or the race course. I never start a race in a state of anxiety. Yoga and meditation has helped me feel focused and self centered, putting your ego aside is huge in this level of sport. It pays to be friendly, warm and relaxed. YFS: I believe you are vegan athlete sponsored by superfoods? NP: Yes, they are one of my sponsors. I race purely on natural products. No processed energy bars or foods. I use spirulina through out my race and hit a green shake on the finish. YFS: Lastly, how does pranayama help you in racing? NP: This is a great question, most athletes at this level use a short breath. The asthmatic breath. Yoga has helped me hugely and taught me to use my whole diaphragm. It is very important to exhale completely in the racing state. My secret is using 99% of nostril breath in my training drills which in turn helps me breathe more effectively. I cannot recommend yoga enough to fellow athletes of all sports. 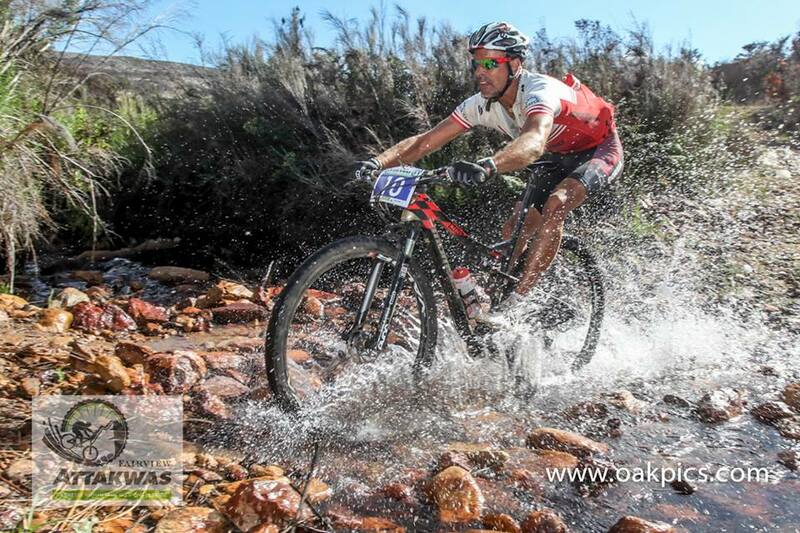 Achievements: Masters MTB cross country world champion 2013; multiple mixed and masters category winner at the Cape Epic; winner of the wine2whales race 2013; 4 x top10 at the Xterra world championship.